Draft: 2011, Baltimore Orioles, 26th rd. Is married.....wife's name is Megan... Graduated from Mesquite (AZ) High School...Enjoys golf.....is a fan of the Seattle Seahawks.....follow him on Twitter (@zdavies3). Went 2-7 with a 4.77 ERA in 13 starts with Milwaukee...The Brewers went 5-8 in his starts... Produced 3 quality starts... Was on the 10-day disabled list twice with right rotator cuff inflammation.....his DL stints came from 5/3-5/23, retroactive to 4/30, and 6/1-8/23, retroactive to 5/30... Was not on the NLDS roster.....was added to the NLCS roster on 10/17 (Gio Gonzalez injury)... Made his only postseason appearance in Game 5 of the NLCS at Los Angeles (1ip, 1h, 1k)... Signed a 1-year contract on 1/11/19, avoiding arbitration. Made his first career Opening Day roster...Went 17-9 with a 3.90 ERA in 33 starts.....led the team in wins for the second straight season... 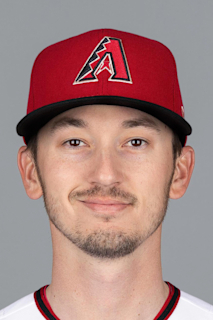 Became the 10th pitcher (12x) in franchise history to produce at least 17 wins in a season... His 17 wins tied the D-backs' Zack Greinke for second in the National League, trailing only the Dodgers' Clayton Kershaw (18)... His 33 starts tied for the NL lead (with three others) and 191.1 innings pitched ranked ninth... Was a finalist for a Gold Glove Award along with the Diamondbacks' Zack Greinke (winner) and Braves' R.A. Dickey... The Brewers went 20-13 in his starts... Had 15 quality starts, going 10-3 with a 1.44 ERA in those starts (100.1ip, 16er)...Went 7-4 with a 5.40 ERA over his first 15 starts (78.1ip, 47er) and 10-5 with a 2.87 ERA over his last 18 starts (113ip, 36er)... Went 9-2 with a 2.04 ERA in 16 road starts (97ip, 22er).....ranked fourth in the NL in road ERA... Went 8-7 with a 5.82 ERA in 17 home starts (94.1ip, 61er).....only the Braves' Julio Teheran (5.86) had a higher home ERA among qualifying NL pitchers... Was named Brewers Pitcher of the Month for August (6gs, 4-2, 2.06era)... Led the Major Leagues with 14 sacrifice bunts. Entered 2015 as the sixth-best prospect in the Orioles organization according to Baseball America…Began the season at Triple-A Norfolk and went 5-6 with a 2.84 ERA in 19 games (18 starts)…Was traded to Milwaukee in exchange for OF Gerardo Parra on 7/31…Went 1-2 with a 5.00 ERA in 5 starts at Triple-A Colorado Springs.....contract selected on 9/1…Went 3-2 with 3.71 ERA in 6 starts with the Brewers.....opponents batted just .211…Had 4 quality starts, including 3 in a row to end the season.....the team went 4-2 in his starts…Made his Major League debut on 9/2 vs. Pittsburgh and received no decision in the Brewers' 9-4 win (4.1ip, 4h, 4r, 4er, 3bb, 3k, 1hr).....his fi rst career strikeout was Jung Ho Kang…Earned his first Major League victory in a 9-1 win on 9/7 at Miami (7ip, 4h, 1r, 1er, 0bb, 4k)…Was named Brewers Pitcher of the Month for September/October…Ended the season on a 15.0-inning scoreless streak…His changeup was rated as the best in the organization by Baseball America entering 2016. October 17, 2018 Milwaukee Brewers activated RHP Zach Davies. September 2, 2018 Milwaukee Brewers recalled RHP Zach Davies from Wisconsin Timber Rattlers. August 23, 2018 Milwaukee Brewers optioned RHP Zach Davies to Wisconsin Timber Rattlers. August 23, 2018 Milwaukee Brewers reassigned RHP Zach Davies to the minor leagues. August 22, 2018 Milwaukee Brewers sent RHP Zach Davies on a rehab assignment to Biloxi Shuckers. August 16, 2018 Milwaukee Brewers sent RHP Zach Davies on a rehab assignment to Colorado Springs Sky Sox. August 10, 2018 Milwaukee Brewers sent RHP Zach Davies on a rehab assignment to Biloxi Shuckers. August 1, 2018 Milwaukee Brewers sent RHP Zach Davies on a rehab assignment to Colorado Springs Sky Sox. July 27, 2018 Milwaukee Brewers sent RHP Zach Davies on a rehab assignment to Wisconsin Timber Rattlers. June 29, 2018 Milwaukee Brewers sent RHP Zach Davies on a rehab assignment to Wisconsin Timber Rattlers. June 19, 2018 Milwaukee Brewers sent RHP Zach Davies on a rehab assignment to Colorado Springs Sky Sox. June 1, 2018 Milwaukee Brewers placed RHP Zach Davies on the 10-day disabled list retroactive to May 30, 2018. Right rotator cuff inflammation. May 24, 2018 Milwaukee Brewers activated RHP Zach Davies from the 10-day disabled list. May 19, 2018 Milwaukee Brewers sent RHP Zach Davies on a rehab assignment to Wisconsin Timber Rattlers. May 3, 2018 Milwaukee Brewers placed RHP Zach Davies on the 10-day disabled list retroactive to April 30, 2018. July 17, 2016 Milwaukee Brewers recalled RHP Zach Davies from Colorado Springs Sky Sox. July 6, 2016 Milwaukee Brewers optioned RHP Zach Davies to Colorado Springs Sky Sox. April 17, 2016 Milwaukee Brewers recalled Zach Davies from Colorado Springs Sky Sox. March 19, 2016 Milwaukee Brewers optioned RHP Zach Davies to Colorado Springs Sky Sox. September 1, 2015 Milwaukee Brewers selected the contract of Zach Davies from Colorado Springs Sky Sox. July 31, 2015 Milwaukee Brewers traded LF Gerardo Parra to Baltimore Orioles for RHP Zach Davies. July 31, 2015 RHP Zach Davies assigned to Colorado Springs Sky Sox. April 8, 2015 RHP Zach Davies assigned to Norfolk Tides from Bowie Baysox. March 5, 2015 RHP Zach Davies assigned to Baltimore Orioles. May 29, 2014 Bowie Baysox activated RHP Zach Davies from the 7-day disabled list. April 23, 2014 Bowie Baysox activated RHP Zach Davies from the 7-day disabled list. April 3, 2014 RHP Zach Davies assigned to Bowie Baysox from Norfolk Tides. March 29, 2014 RHP Zach Davies assigned to Norfolk Tides from Bowie Baysox. March 28, 2014 RHP Zach Davies assigned to Bowie Baysox from Frederick Keys. March 4, 2014 RHP Zach Davies assigned to Baltimore Orioles. April 1, 2013 RHP Zach Davies assigned to Frederick Keys from Delmarva Shorebirds. April 3, 2012 Zach Davies assigned to Delmarva Shorebirds. August 15, 2011 Baltimore Orioles signed RHP Zach Davies.